Year of the Monkey? Nope. But then something amazing happened. People stopped boiling them to mush. Our friends served them at NYE dinner – halved, simply roasted and seasoned under very high heat, rendering them super-caramelized and tender. And then a neighborhood friend brought them shredded-and-roasted-and-glazed to a get-together and since then, I’ve spent the last two months making up for lost time. A couple of weeks ago, I made this recipe four times on a Sunday – four pans full – and by Thursday afternoon, I was adding brussels sprouts to my shopping list again. 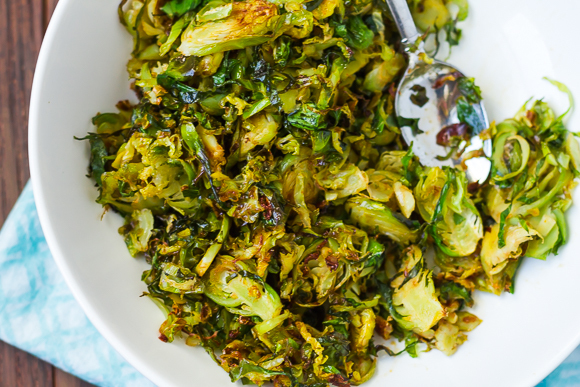 Crispy-roasted brussels sprouts glazed with a sweet-sour-spicy mixture of honey, lime, and sriracha. You can also use whole sprouts, cut in half. Be sure to cook them cut side-down to make the magic happen. Preheat oven to 375 and line a baking pan with foil. Place the brussels sprouts in a large zipper bag with olive oil and pepper - seal (no seriously - triple check that it is sealed) and shake to coat. 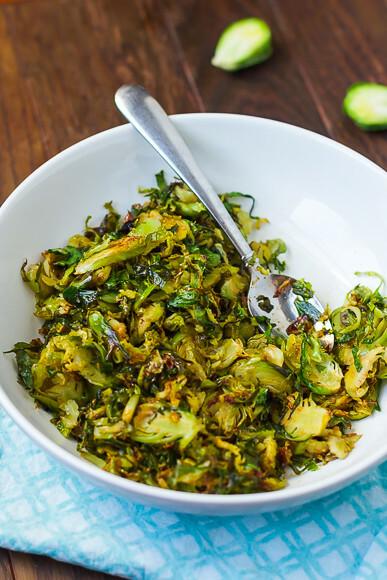 Spread the brussels sprouts in a single layer and roast for 20 minutes, toss, and cook another 5 minutes if you want them darker. In a medium bowl, whisk together the soy, honey, lime, and sriracha. If you keep most of those ingredients in the fridge, a 10-second trip through the microwave will make mixing easier. 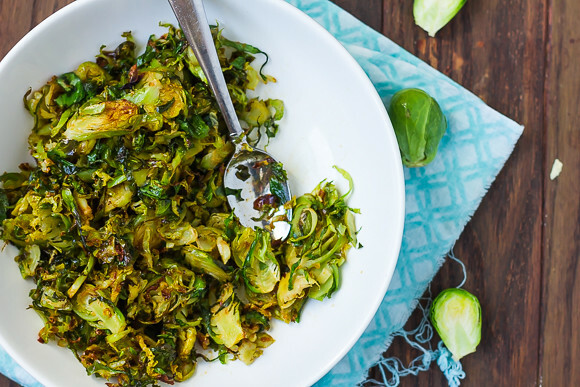 Transfer the brussels sprouts to the bowl and toss to coat with the glaze. 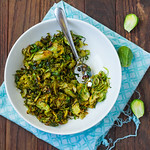 Crispy brussels sprouts are the best! And I love this glaze that you’ve doused them in…way to amp up the flavor! This sounds absolutely amazing! I will definitely being attempting this, sounds delicious!